As part of the media partnership between ASEF culture360 and BUKRUK II Urban Arts Festival, David Fernandez interviews Myrtille Tibayrenc and Nicolas Dali, the main organizers and artistic directors, who have decided to join forces again for this 2nd edition of street art, illustration and music festival BUKRUK II in Bangkok, Thailand (23-31 January 2016). 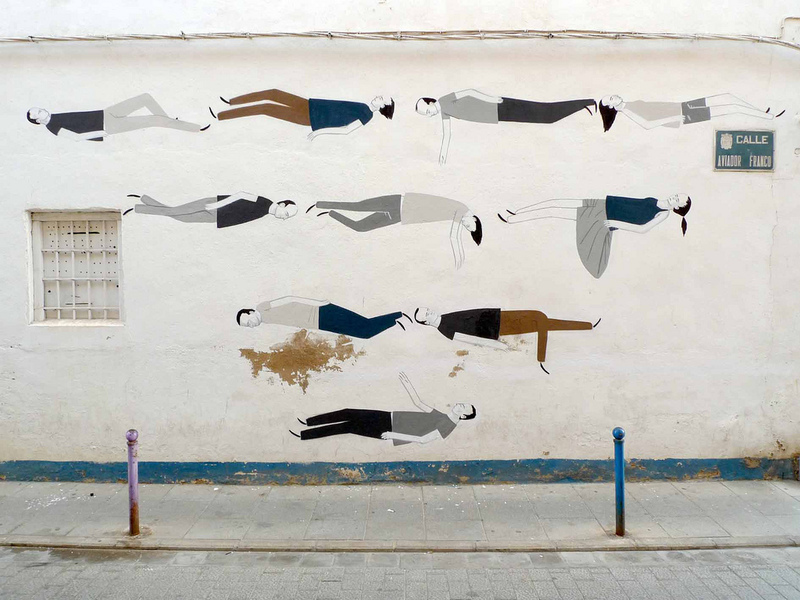 David Fernández (DF): How did the idea for an urban street art festival come about? Myrtille Tibayrenc/Nicolas Dali (MTND): We started this festival in 2013, we really wanted to bring something new to Bangkok, and bringing together artists from Europe and Asia to paint massive murals on this incredible canvas that the ‘City of Angels’ has to offer was a very challenging idea. 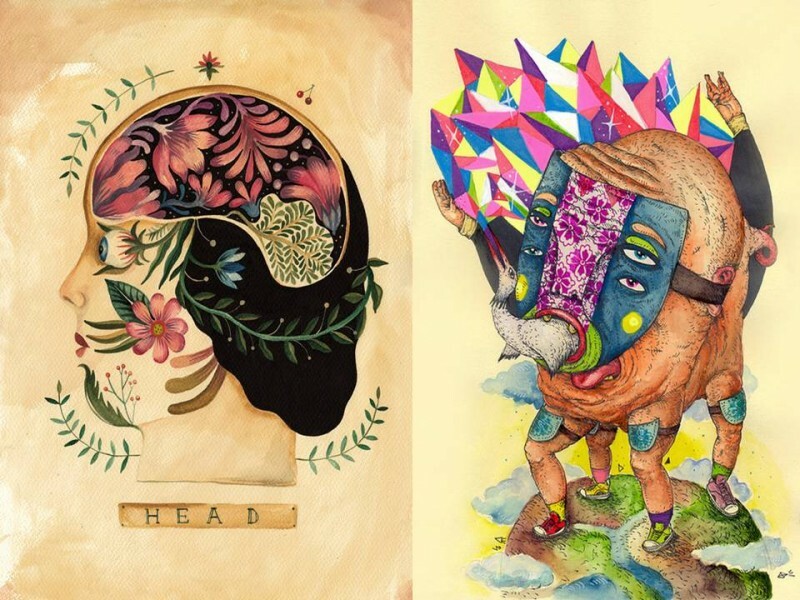 DF: What is Bangkok's urban art scene like nowadays? MTND: The street art scene is pretty active here in Bangkok. 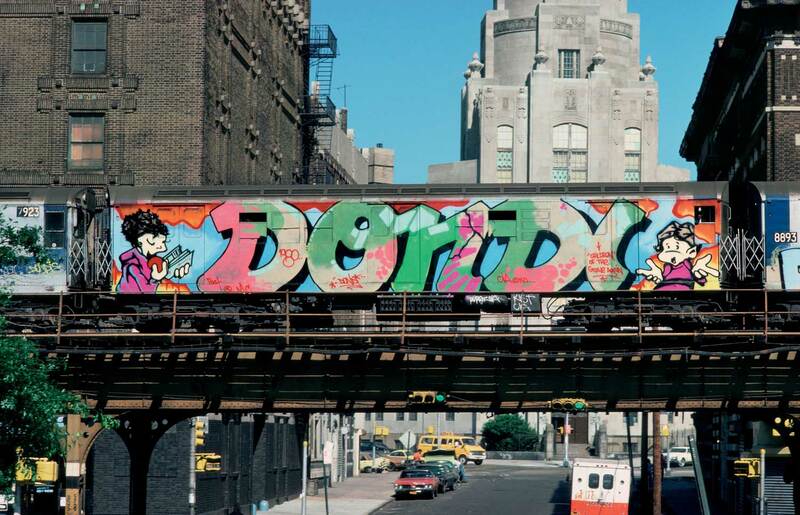 Nowadays you can see graffiti all around the city in all kinds of abandoned buildings. There are quite a few crews out there but it is less common to see big mural artworks, still there are a bunch of artists doing so but not that many, really, so that’s what we are trying to bring here, another evolution of street art. Bringing it to another level so it can be largely recognized worldwide. DF: How important is the local urban context in putting on BUKRUK? MTND: All exhibitions, walls and activities will be set on the riverside, Bang Rak/Klong San area. We hope the public artworks will help breathe new life into Bangkok and attract international attention to one of its richest and nevertheless neglected historic centre. By creating this open-air museum, we will design a map connecting not only the painted walls but also the historical buildings and art spaces scattered in the area. By working with the local communities, Talad Noi association and the Bangkok River Creative District project, we hope this edition of Bukruk can help elevate awareness towards the importance of art and creativity within a given neighbourhood and local community. DF: The first edition was the Thai-Europe connection. The second one is the Asia-Europe connection. How have you approached programming of Asian/European work in your festival? MTND: BUKRUK 2013 was the Thai-Europe connection, BUKRUK 2016 will be the Asia-Europe connection. For this present edition, we focused on a selection of emerging and established Asian and European artists who are becoming more and more eloquent and original on the international level. We chose to expand the selection to Asian and not only Thai artists so as to create a real mirror of talents from Europe and Asia. The Asian art scene is also blooming and we thought Bangkok being very well located as a centre in Asia, it would be very interesting and challenging to welcome Asian artists as well. DF: How many artists are you welcoming this year, and from which parts of the world? MTND: Including visual artists as well as musicians, we are welcoming this year over 50 artists, coming from European countries like Spain, France, Italy, Greece, Romania, Netherlands, Austria and Belgium and from Asian countries including Japan, Korea, Myanmar, Cambodia and obviously Thailand. DF: How do you think collaboration between Asian and European artists can be beneficial for the societies of both regions? MTND: A lot of the collaborations we see between Asia and Europe are mostly based on economy, market and politics. We wanted to explore ways to highlight a real cultural exchange. Bringing the artists to work together instead of only bringing in the art pieces is also a way to create a deep relationship between the actors of this project and also encourage influences on both sides. Hopefully this encounter will be the beginning of long term collaborations for certain artists of this festival. Ultimately we see this festival as a friendly way for the city of Bangkok to embrace cultural influences coming from other regions which are very valuable for the local communities and local talents. DF: What are you trying to bring to BUKRUK specifically that you haven’t seen elsewhere? MTND: For this second edition, we really extended the festival to broader kinds of activities, starting with a three-stage music festival followed by six exhibitions, 10 giant public wall paintings, a night of animation, a mobile print shop, workshops, artist talks and projection mapping. This is already very different from the usual "street art festival", from wall painting to animation, through music to screen print, we are going towards a real "Urban arts festival" in which a very broad audience can take part. DF: The festival had many different programmes to offer this year, including a music festival. Can you give us a brief overview of the highlights not to be missed? MTND: It all starts with a party. The BUKRUK Music Festival is a one-day event bringing together an eclectic array of musicians and artists hand-picked from across Europe and Asia. The festival launch will be followed by daily wall paintings at locations in the streets of the surrounding Bang Rak district. Every evening will offer an opportunity to visit one of our 7 gallery partner spaces to view the launch of exquisite art exhibitions. More than 100 original artworks by 12 BUKRUK artists will be available to the public at reasonable prices for three weeks. At all festival events, keep an eye out for our Mobile Print Shop, which will pop up every day in unconventional ways to craft handmade zines from rebel French art group Le Dernier Cri, dainty limited-edition silkscreens from BUKRUK artists produced by local print makers of The Archivist, and other BUKRUK souvenirs. On Jan. 23 and 30, the shop–tricked out by fresh Thai design team 56th Studio– will transform into a full print studio in which The Archivist will introduce silkscreen to visitors who will take home their very own creations. Besides, we have joined hands with Thailand Creative & Design Center (TCDC) to bring two rock stars of their own practice to share their art: Panop Koonwat (animator) and Le Dernier Cri (printmaker). Panop will give an introduction to character building and moving, while Le Dernier Cri will give an introduction to zine making. Moreover, The Jam Factory’s Talad Knack will be the backdrop for memorable outdoor screenings of European and Asian animation selected by Panam Anim and Florence Lucas of France. Yuree Kensaku and Maythee Nojinda will boost audiences at nightfall with a live performance blending music and animation. Last but not least, for the first time, TCDC’s new building, the Grand Postal Office will open its doors to the public to present both national and international artists who will speak about their practice. Feel free to ask Martha Cooper, Motomichi Nakamura, Florence Lucas and The Archivist about their practice after their presentations and join the last program of BUKRUK after the talks. All good things must end, and the BUKRUK II Urban Arts Festival will end in style with an outdoor party at the historic Grand Postal Office building, which will be revamped, mutated and remodelled in a giant mapping projection by Japanese multimedia artist Motomichi Nakamura. While losing your eyes in the visual assault on architecture, your feet will move to the beats of Luxembourg DJ Sun Glitters, all to enjoy the last magical moments of this unforgettable BUKRUK experience. DF: What is your hope for the future of BUKRUK? And for the Bangkok urban art scene? MTND: We love the way this festival is not only the reflection of our ideas, but it has quite an organic form. For Bukruk II for instance, we worked closely with several local partners who engaged with fresh ideas for the festival. Galleries, art spaces, designers etc. We hope that this festival can continue being as open and organic so that more and more people can jump on board and share their talent. We also hope such a festival can highlight Bangkok as being an urban arts spot in the world map and that it will attract more and more established artists to express themselves here, but also help the local artists to grow more internationally. Myrtille Tibayrenc is a French curator and gallerist based in Bangkok since 2005. She is the director of the Toot Yung Art Center active since 2010. Nicolas Dali is a French graphic designer and Art director based in Bangkok since 2009. He is the co-director of Küoz design studio since 2013.